Our youngest climbers, Rockers, learn basic climbing techniques and safety protocols at Camp St. Croix’s climbing facilities. Midway through their week Rockers take part in a two-night camping trip to Taylors Falls for some classic outdoor top-rope climbing. Cliffhangers similarly begin with safety training at camp before hitting the trail for the crags of Devil’s Lake State Park. All of our outdoor climbing is facilitated by our amazing partners Vertical Endeavors Guided Adventures. Our most advanced climbers and sailors unite to take part in the Mariners Leadership Development Program. In partnership with Vertical Endeavors Guided Adventures. 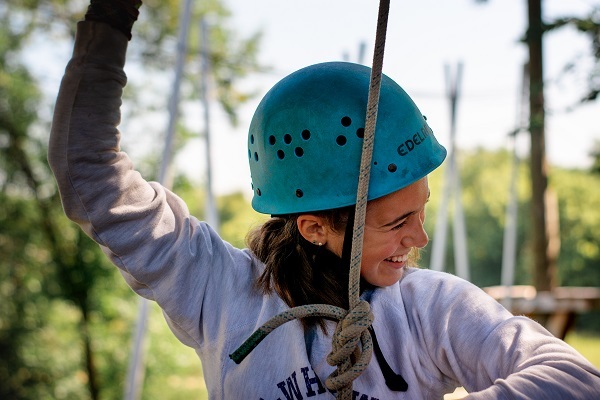 Become experienced in climbing safety, technique and technical skills while exploring the Midwest’s premier climbing destinations.